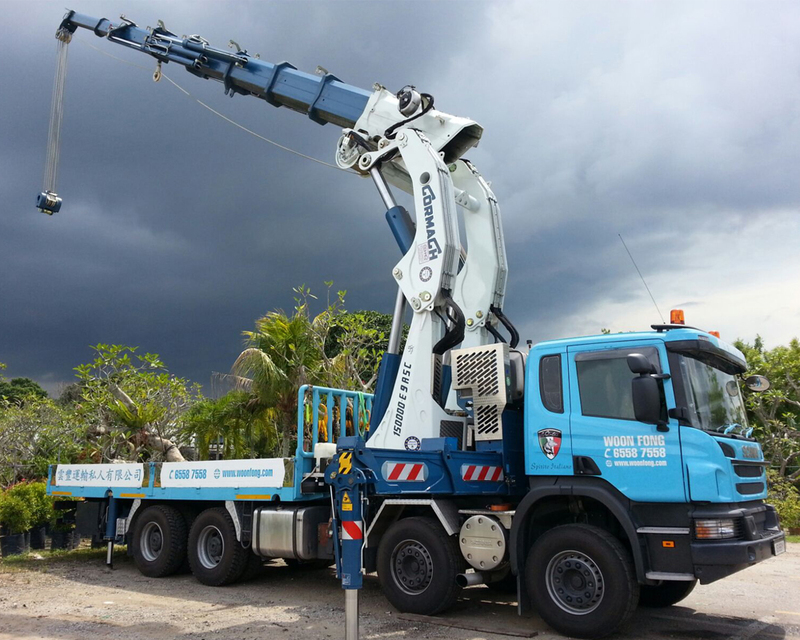 Lorry Crane is a common solution used especially for densely and compacted environment like Singapore. It is type of agile vehicle that able to perform self-loading and unloading job efficiently. 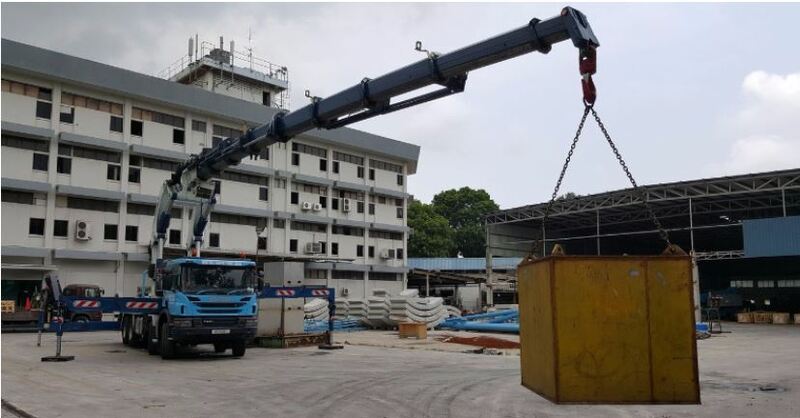 In addition, lorry crane also engage in transportation of cargoes throughout the island. 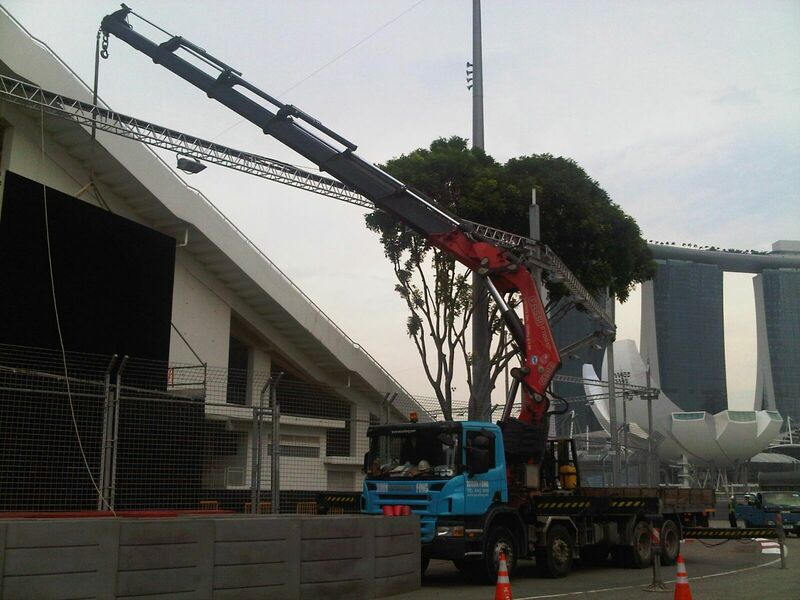 Lorry crane without a doubt, fitted the bill of lifting and transportation perfectly well. We are committed to supply quality services to our customers. Every effort has been made to ensure customer satisfaction. 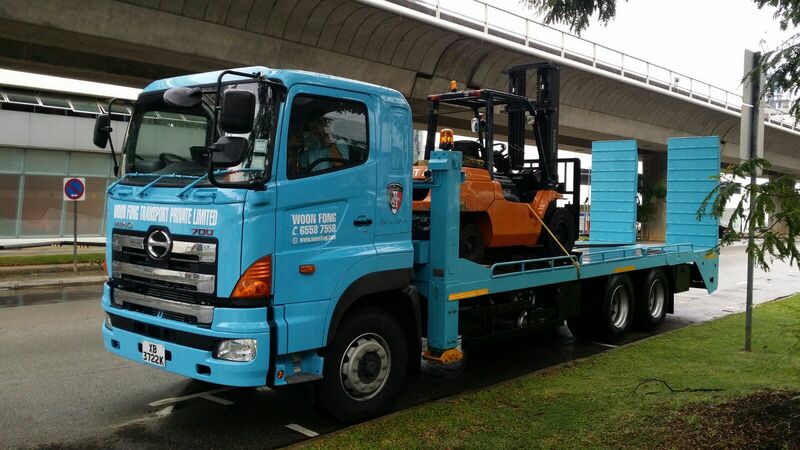 Woon Fong Transport was incorporated in Singapore on 1992. 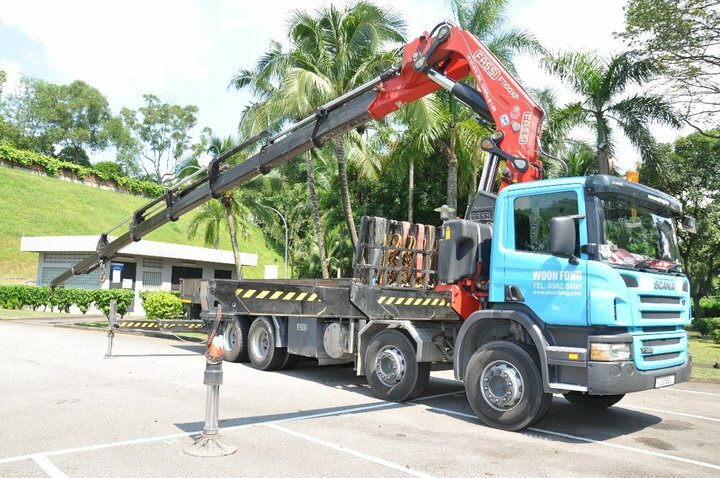 We provide lorry crane transportation service that covered the Singapore Island. 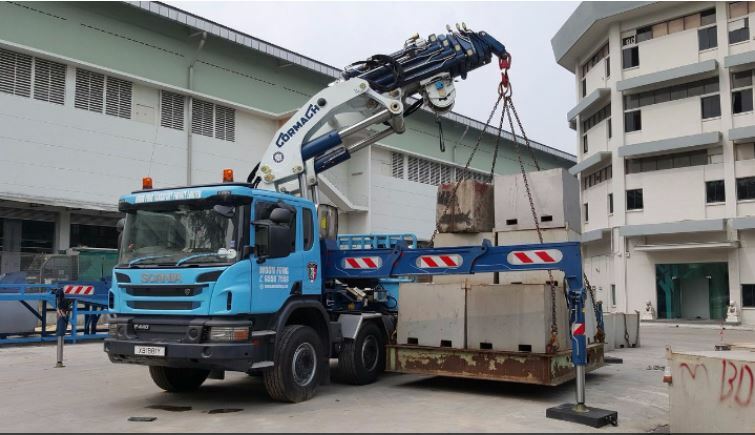 Our company owns an established fleet of lorry crane for hire, and we are also carry equipment like Fly Jib, Double Man Cage, and Concrete Bucket. All our vehicles and equipment are serviced on a regular basis to ensure there are in good condition to support high safety standards and reliable services.  Our operators are well trained and possess of relevant industrial certification and permits to meet our customer needs. 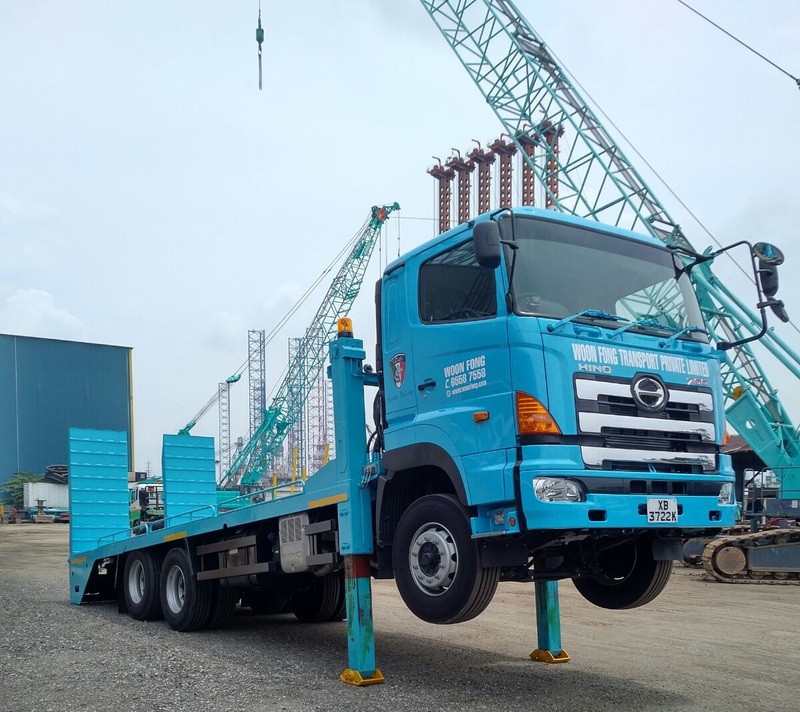 Woon Fong Transport has a wide range of lorry crane with capacity ranging from 15 to 75 tones, with detachable fly-jib, to cater for vary lifting requirements. 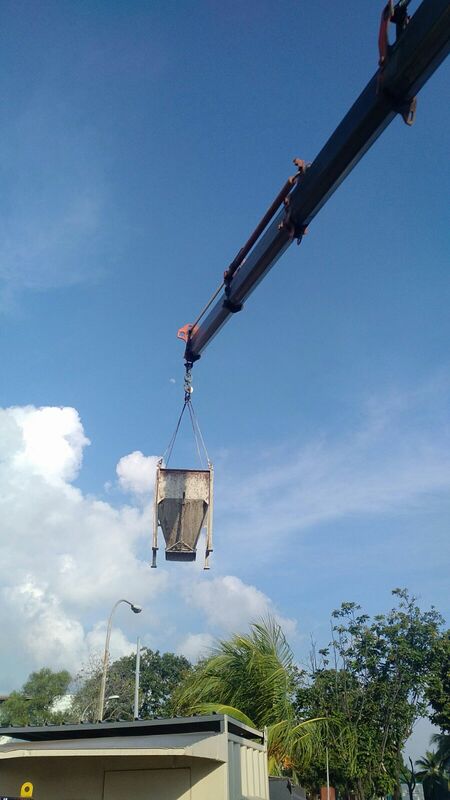 Besides lifting, lorry crane is common to use for transporting cargoes. It is gives us the flexibility to deploy the vehicle as 2 in 1 service, to lift and transport at one goal. 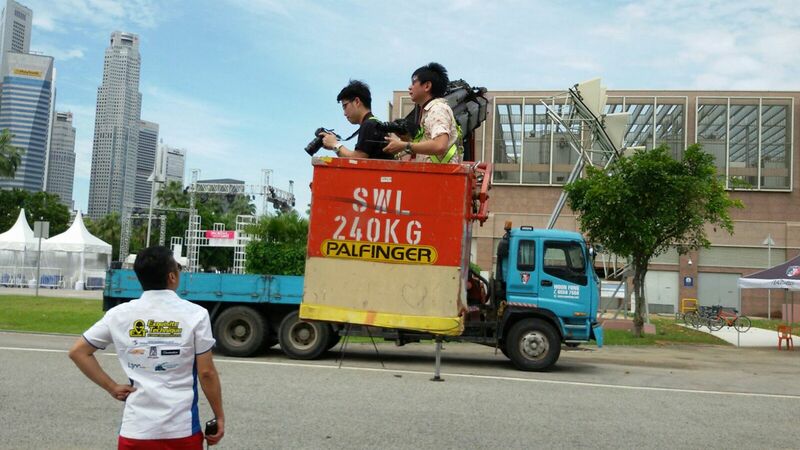 Self-Loader is another ideal tool for transporting off-road vehicle, machinery and equipment. 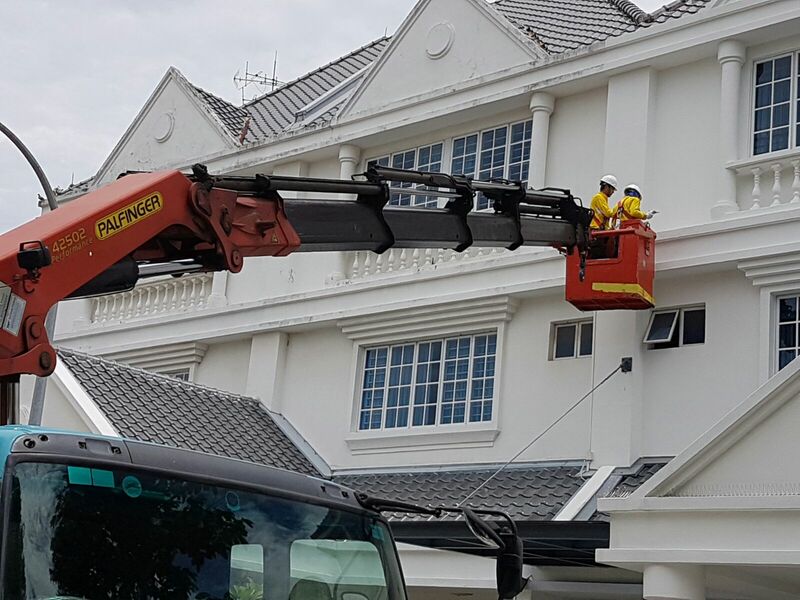 Our professional lifting team, which comprises the lifting supervisor, crane operator, rigger and signalman are trained and competent. A ‘Man Cage’ is used to transport personnel to and from any high or low level work situation. Our 2-men cage is supplied with rails to half height, allowing work to be safely carried out with minimal obstruction. 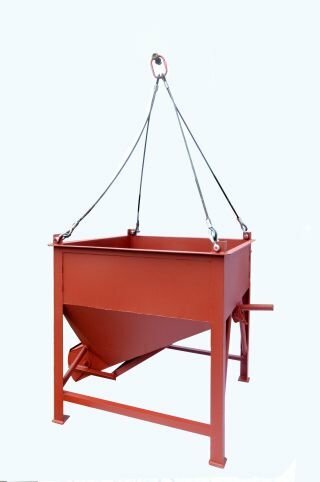 We offer concrete bucket rentals which ideal for concrete pouring applications. Our team is dedicated to their work and our staff are contactable at any time in order to meet the different needs of our customers. Please fill up the quick form and we will be in touch with lightning speed. Copyright © Woon Fong 2017. All rights reserved.